Be safe and good to all of you up there. yust, want to say thanks. and ol you are showing. Takes a ton of focus. 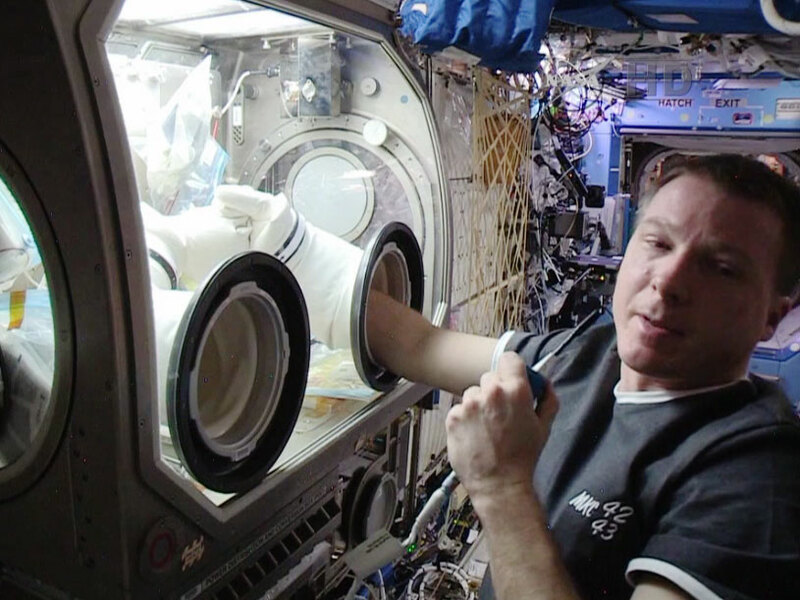 I applaud NASA’s ongoing research aboard the ISS on the effects of prolonged space travel. As NASA knows, the many adverse effects of microgravity include degradation of vision by as much as two diopters, significant bone and muscle mass loss, the reduction of the effectiveness of the immune system and the possibility of later life cancers from cosmic ray exposure. I am certain NASA knows all this and more about prolonged exposure and is using the ISS to do valuable research which may continue even beyond 2020 to 2024. I have recently watched videos of the extraction of astronauts and cosmonauts since America had to return from the ISS using Soyuze and was very alarmed at just how weak the individual appeared after only a six month exposure to microgravity. All considered it appears close to “impossible” for such individuals to perform physically demanding tasks after a long six month to one year journey to Mars depending on the transfer ellipse chosen. Of course, the reduced grvity on Mars will make this a bit easier than climbing out of the Russian ship on the Earth which is a terribly clumsy affair requiring assistance. May I ask if NASA is considering in their feasibility and advanced configuration studies of martian crew vehicles on the use of artificial gravity fields produced by rotation? I saw no hint of this on the recent successful launch of Orion. Rotation need not be used everywhere but only in inhabited sections of the vehicle for a certain number of hours per day. Lately, we the public never hear about this, but only chemical means and the use of drugs to mitigate the very negative effects of prolonged apace travel. Specificislly, can you say if has NASA or other independant reserchers have given thought to what minimum gravity would prevent these adverse effects? It may not be necessary to provide a full Earth (1G) of acceleration at the rim of the rotating section. Perhaps 0.5 G’s will do the trick. Also restraining garments which provide moderate resistance to all movement which I believe the Russians have tested. Even a moderately pressurized garment like a space suit might work but will not be very pleasant. I think the many hours on the tread mill may do much to improve how the astronauts mental condition “feel”, but running hours on a tread mill does little to reduce bone and muscle mass loss based the limited information I have seen. For those that love exercise it is fine, but it seems to me like many hours spent exercising on various device could be a waste of time and actually not be preferred by all astronauts. Also, may I ask why NASA currently appears to not take an interest in the use of centrifugal /centripital force up until now? I understand based on a recent interview of the astronauts that the members of the full year crew actually have some slight concern about the permanent loss of up to two diopters of their vision. As a 68 year old man I have lost over two diopters of vision and it is very inconvenient If I may say glasses, bifocals and transitional lenses are fine, but not for long term use in a space helmet. The twin study aboard ISS is a great idea and I hope all comes out well. I think this is not the first time 1+ years of exposure to microgravity has been performed and that some cosmonauts have done this before, but never with twins. So, compliments to NASA on thinking out of the box. If you could possibly forward this letter to the proper individual(s) at NASA or are aware of the answers I would really appreciate a response. I am a retired engineer who worked in aerospace for over 40 yeaars and worked dowen at the KSC during Apollo. I hope I am not making too much of a pest of myself by using this line of communication intended for public relations and more basic questions.